The storms of 2011 have deposited one of the best snow packs in recent memory, but they left a bit of carnage in their wake. 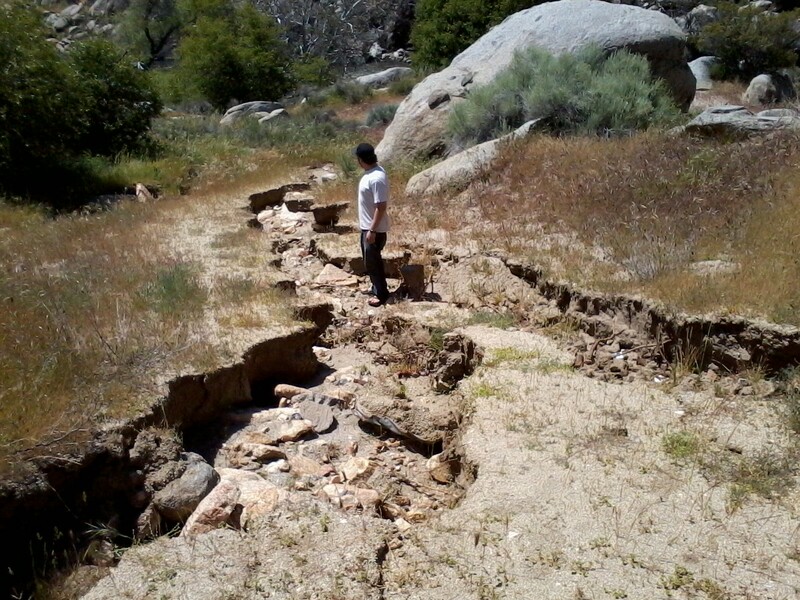 Pictured above is a wash out at our Lower Kern camp. Guide Gary “Firestarter” Thornbrugh gives a little scale to the ditch the torrent of water carved. Word has it that the road leading to the Forks of the Kern also suffered the same fate and won’t be open until the first week of June, at best. Good news though: our camp road is being repaired as we type this. This little memory of the winter storms’ fury will soon be smoothed over. It is now time to play on the melting snow for the next four or five months. Get ready to have some serious fun.